ATTENTION all San Marino residents! You can now live and work in Canada through the hugely popular International Experience Canada (IEC) program. You can work and travel in Canada with an open work permit that runs for 12 months! The tiny European nation of San Marino has become the latest country to sign a bilateral agreement with Canada to enable its citizens to live and work in Canada through the hugely popular International Experience Canada (IEC) program. San Marino, which has a population of just over 30,000 people, will see its citizens aged 18 to 35 qualify for the Working Holiday program under the IEC category. The country of San Marino, best known for being entirely surrounded by Italy, will now join 33 other countries that have such an agreement with Canada. The successful candidates will have the opportunity to work in Canada on an open work permit that runs for 12 months at a time and applicants will have a maximum of two participations. 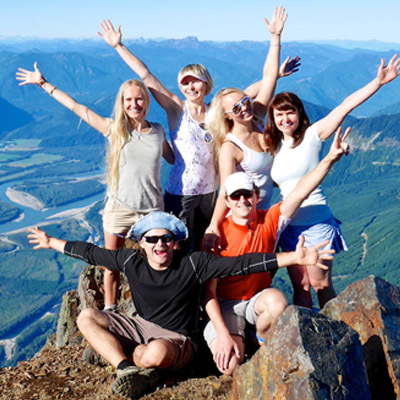 Usually, after experiencing the wonderful opportunities and quality of life offered in Canada, individuals visiting Canada under the IEC work permits end up staying for longer and sometimes even permanently. Be a citizen of one of the 33 countries that have a bilateral youth mobility agreement with Canada. Have a valid passport for the duration of their stay in Canada (work permit issued will not be longer than the validity of the passport). Be between the ages of 18 and 30 or 35 at the time of application (upper age limit depends on the applicant's country of citizenship). Have the equivalent of CAN $2,500 upon landing in the country to cover initial expenses. Be able to take out medical health insurance for the duration of their stay (participants may be required to show evidence of this insurance at the point of entry in Canada). Prior to departure, have a round-trip ticket or the financial resources to purchase a departure ticket at the end of their authorized stay in Canada. The Working Holiday program has become so popular because it enables the participant to find temporary work and help fund their vacation. Learn more about the Working Holiday here.